"There's rocks in the middle of class, because that's what I do!" Jane says with a smile, oftentimes as she explains the healing properties of crystals she arranges in the center table of each class and event we hold here at Wisdom of the Ages. She has been in love with the crystal world since childhood when her father took her to gem shows to appreciate their beauty and connect with their healing energies. 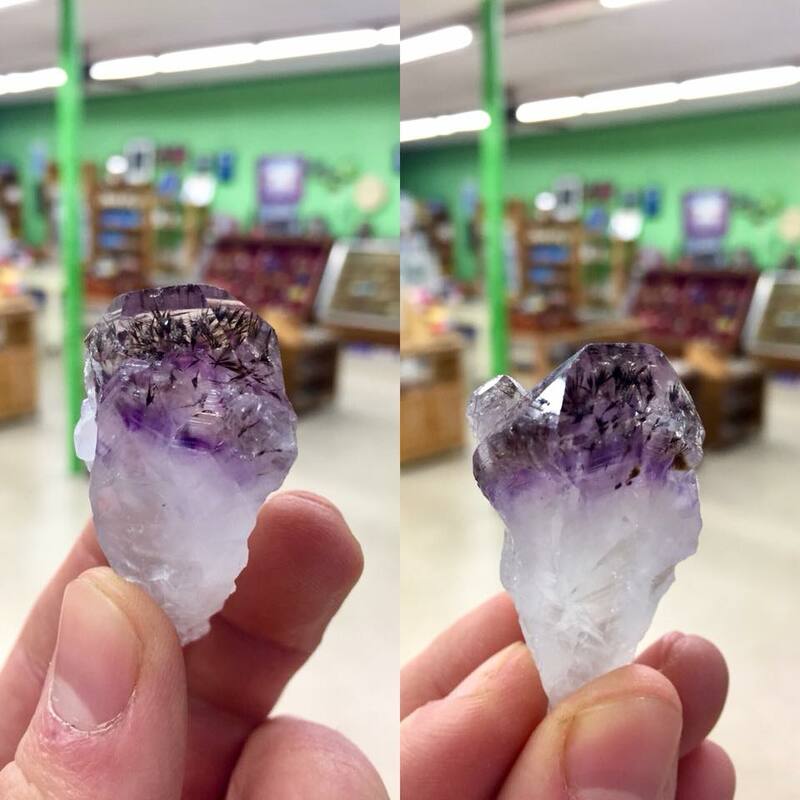 She nourishes the interest of many children who come in the store to explore the stones and crystals available, as she has done with her son Charlie, who now manages the store alongside her. 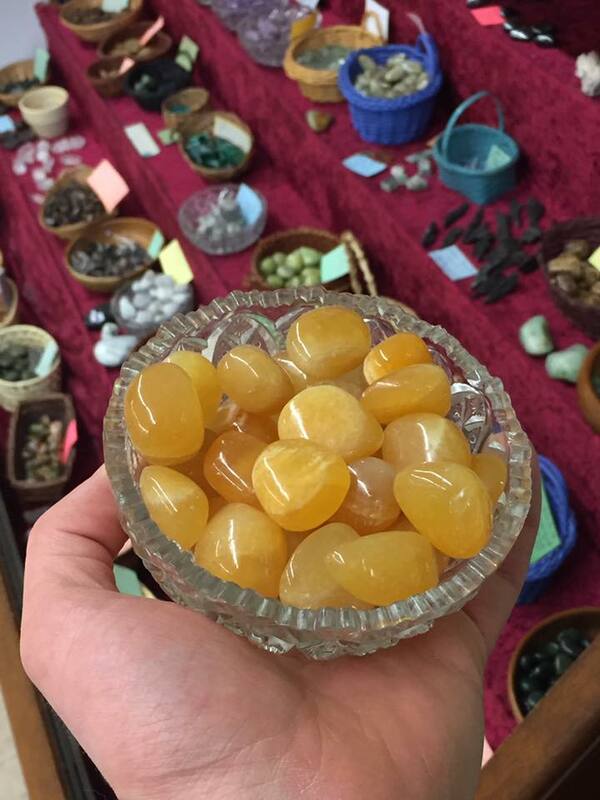 Charlie has grown up with a love of crystals too, and together they work to share the wisdom of the healing benefits that working with these gifts of Mother Earth can bring. Jane trained extensively with a Native American teachers and has come to be locally renowned for her ability to identify crystals and explain their healing properties in terms everyone can understand. Whereas many new age online forums or blogs refer to a particular author's opinion on crystal energies, Jane and Charlie are glad to share advice that includes the wisdom of many ages. ~ Knowledge of old from around the world on the healing energies of crystals, plus the knowledge of the crystal energies gained from years and generations of working with them to help themselves and others. There's no need to research or fret when preparing a shopping list or exploring the shelves at Wisdom of the Ages - we're here to help! Many of the stones have signs that explain their healing properties, or come in with a question or an issue and they can direct you to the best healing stones or stone combinations to assist in healing that issue! Complimentary, personalized guidance for anyone who needs it! 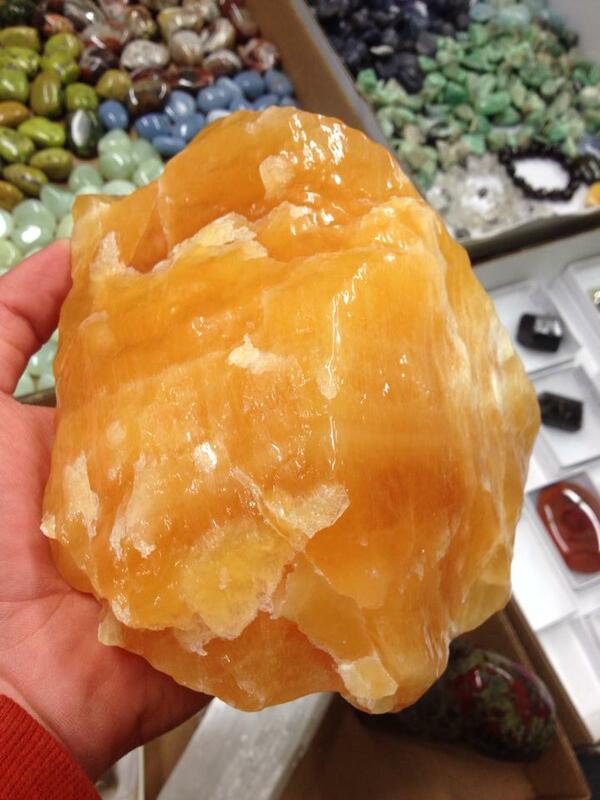 Crystals and gemstones carry the natural healing energies of the Earth within them. They help to bring your body, mind and life closer to your own personal optimal level of awesomeness. Greater health, a calmer, more focused mind and an empowered spirit can be so much more attainable with the healing uses of crystals and gemstones. Stop in any time for personal guidance from Jane or Charlie or feel free to shop the store on your own! Help is only a question away. ​Crystal healing dates back thousands of years in human tradition, and Jane and Charlie seek to carry this wisdom forward and bring it to all those that it can help.